A small adjustment can shape the entire experience of a handbag. 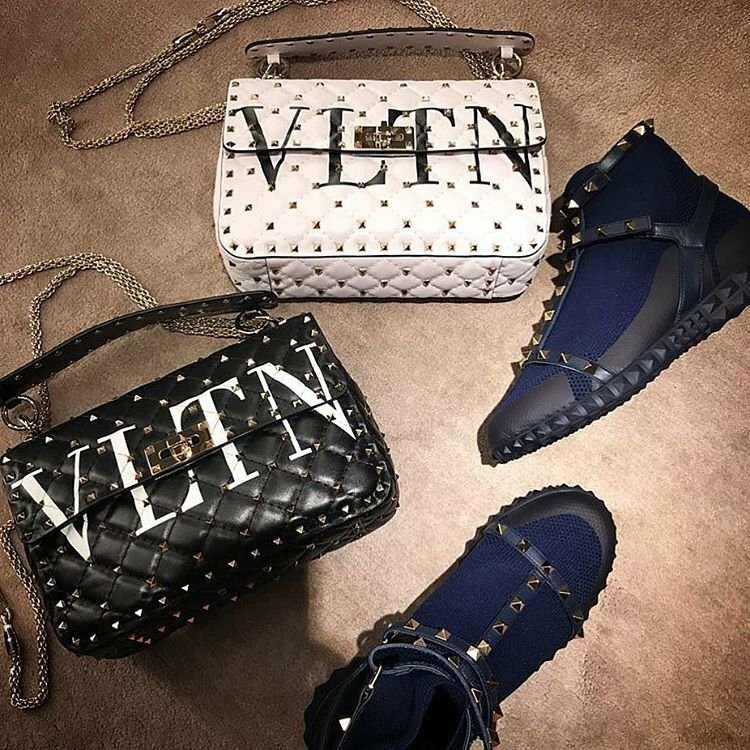 Recently, Valentino has launched the VLTN line, which was set to re-shape the look of certain handbags. 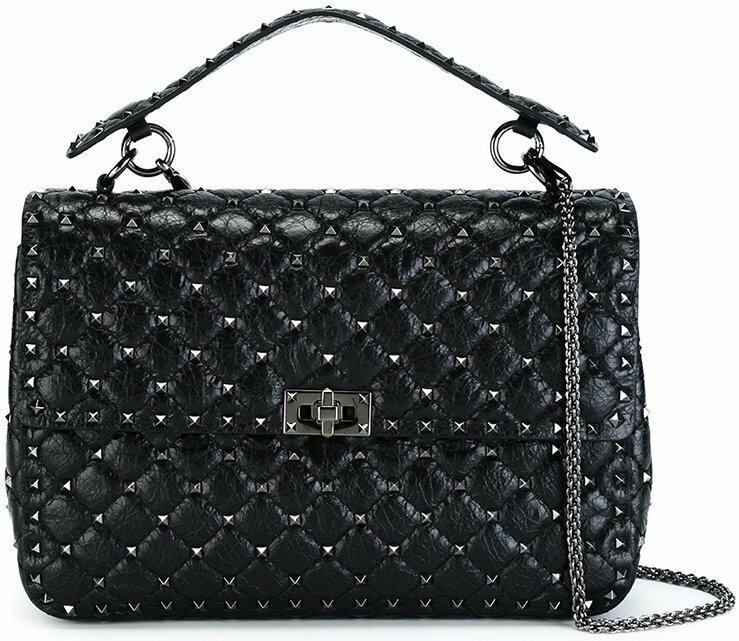 The Rockstud Spike Bag is not a new handbag, but the latest embellishment makes it feel like its more urban-like and perfect for the casual days. 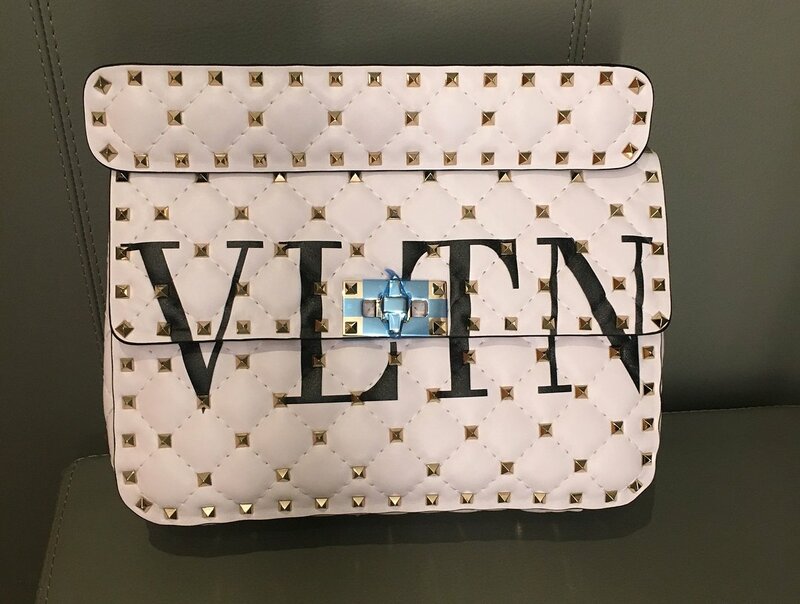 So meet the Valentino VLTN Rockstud Spike Bag for the Spring Summer 2018 Collection. Valentino knows how the make the best studs in the world; the Rockstud Spike Bag is the proof. And even tough it’s not visible at first-look, this handbag has been fully diamond quilted. But not only that, the quilting has been reinforced with little pyramid-shaped studs in gold hardware for the optimal shine. It’s bold, urban-chic and perfect for the rock styles. 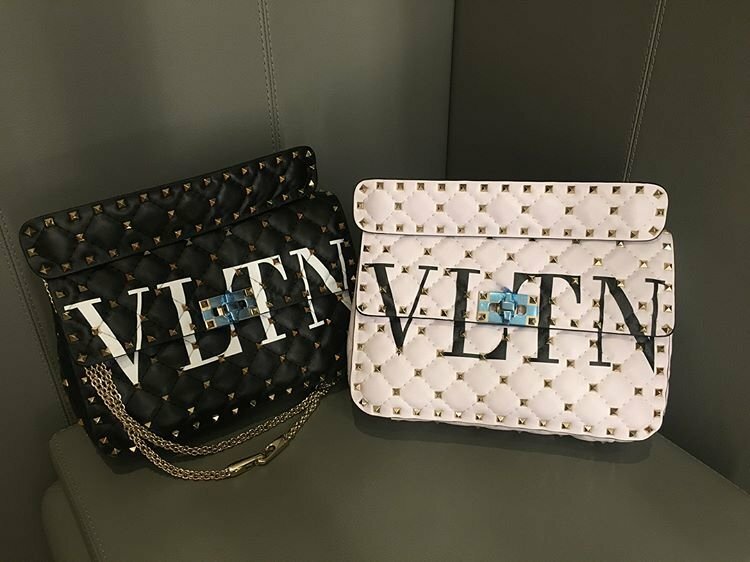 And it gets even better as the new VLTN line adds the final touch to it, the Rockstud Spike Bag is now embellished with the VLTN logo – making it even more eye-catching. The Rockstud Spike Bag offers enough space to store everything you need, especially your basic essentials. There is one big compartment inside with a zip pocket for your important necessities. 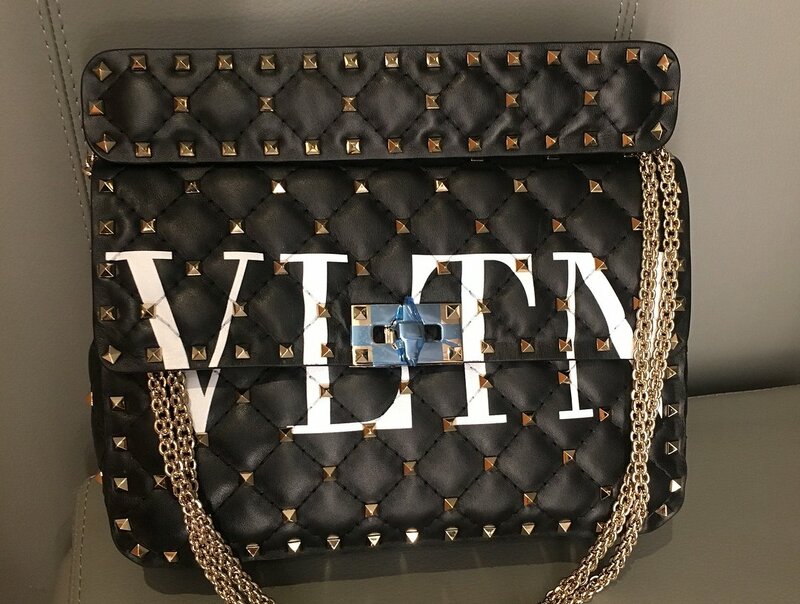 The medium size of this bag is measured 11.8’ x 7.9’ x 3.5’ (W x H x D) inches, priced at €2100 euro via Valentino boutiques.